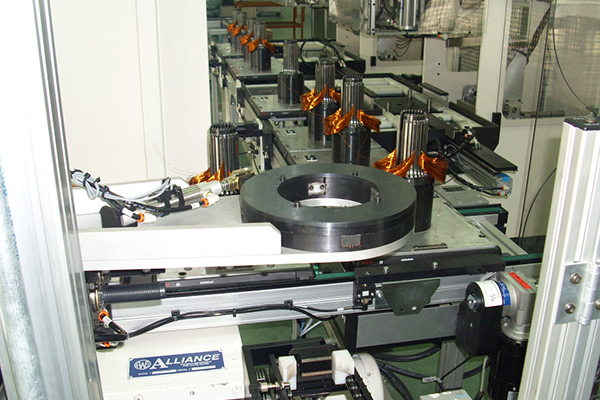 Automatic linear transfer systems optimize high production where multiple duplicate stations are required to maximize the output per hour. 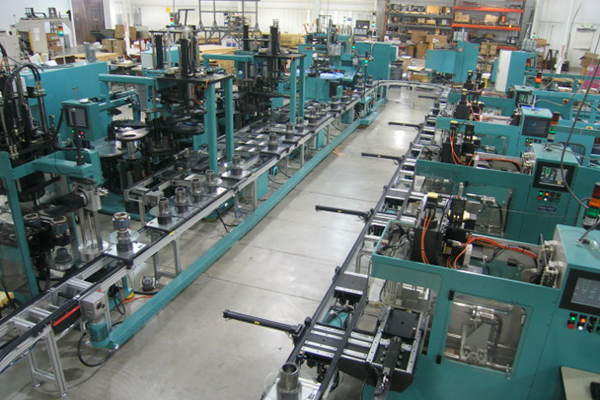 A linear transfer system in a loop or narrow single line could have over 10 winders, multiple wedgemakers, coil insertion stations, end turn forming stations and end turn lacing stations to achieve the fastest part to part time. Alliance uses standard off-the-shelf pallet conveyors and Ethernet communication for traffic management and quality monitoring data accumulation.